I was a foodie. I cooked and served foods that had flavors and tastes enough to tantalize and satiate even the most finicky taste buds. I ran a small and exclusive catering business and wrote articles on food. All this was before I created Silk. Not raw silk or those khaadhi varieties but the finest of the glossy and smooth. A halwa called Silk, that I made and remade to a texture so fine, that you just had to pop a piece into your mouth, and with the slightest touch of saliva, it melted. No one had ever tasted a halwa like this before. Halwas are known for their chewy heaviness, not for being light and fluffy like Silk. This was a treat so addictive that all those who tasted it craved more. Ecstatic, I planned a major launch and wanted to patent the recipe. 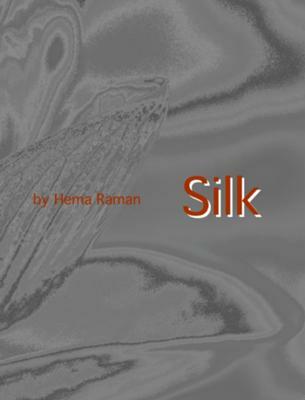 I foresaw Silk changing the image of halwa. On the day of the launch, at a private party at home with the most exclusive guest list, I took a shower and came out refreshed and expectant. My trusted assistants had everything ready as planned. Befitting the occasion, six silver plates of freshly made Silk sat on tables, ready to serve. I had rechecked all proportions a million times but looking at the delicacy lying there, shiny and lovely, not a wrinkle on it, with specks of caramelized sugar resembling gold, I couldn’t resist. I cut out a perfect square and popped it into my mouth, where I expected it to melt, but it was so hot that it melted my tongue. The heat in the Silk halwa had remained; a result of the poorly conductive silver plates. I had never felt such excruciating pain. I suffered full burns on my tongue, and my throat, too, felt as if it were on fire. I fainted. They rushed me to the hospital but the doctors said they would have to wait and watch to analyze the level of my burns. It has been a year now and they still wait. My throat has healed, but I have lost all sensation in my tongue. Everything tastes like nothing. Tasteless, perhaps, to have called it Silk. Silk Shock sounds more like it. Lovely but I do like Alva (Halwa) a lot. It works well in love and life. Wonder maybe that is why Tirunelveli Halwa is made in Irrutukadai ( Dark Rooms)!